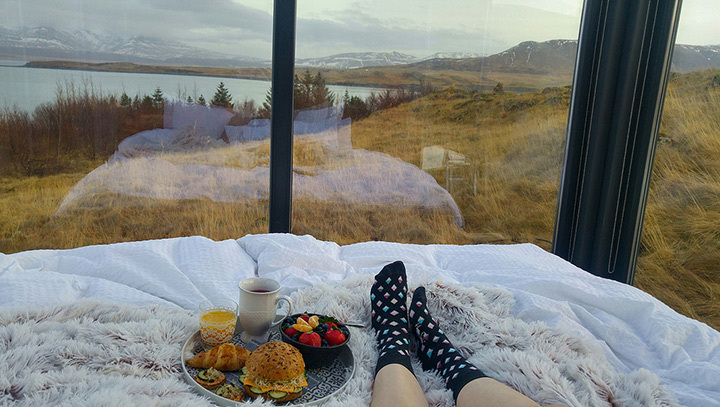 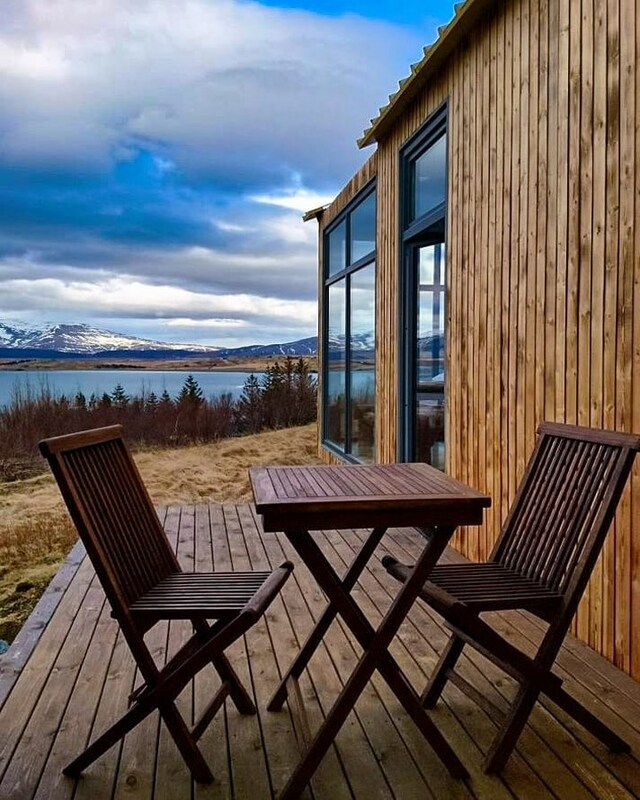 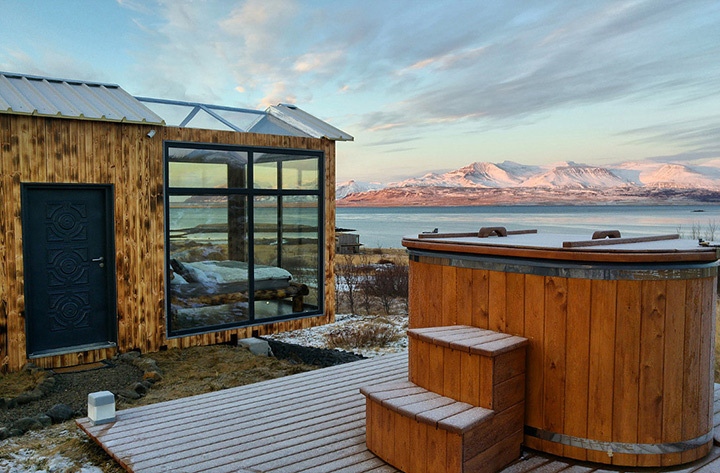 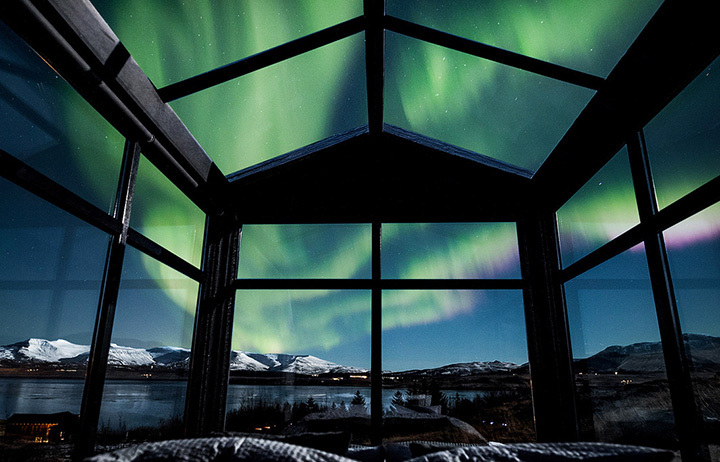 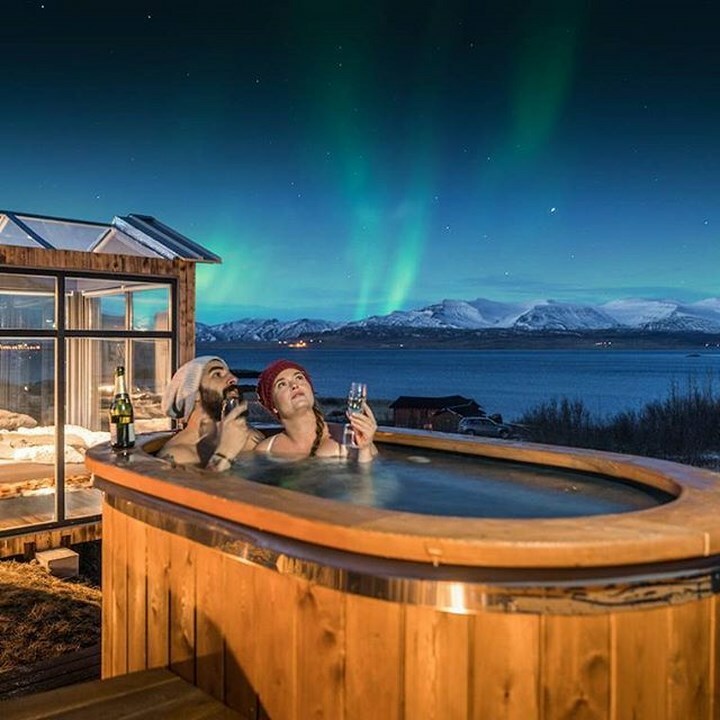 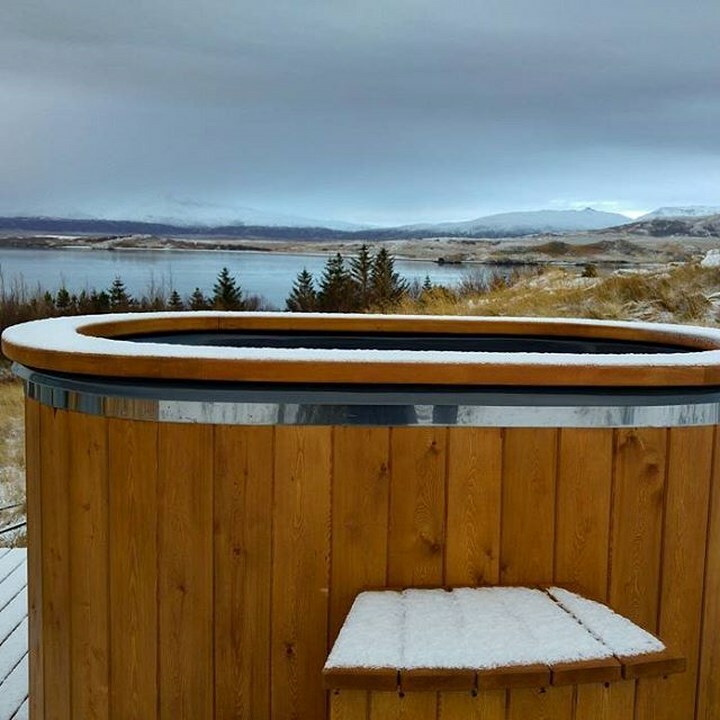 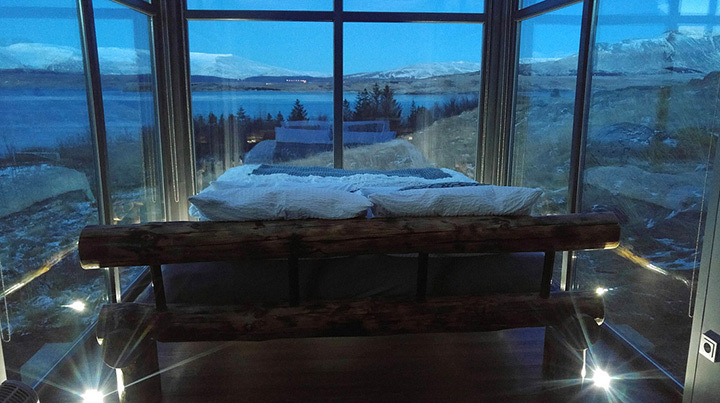 Situated in Iceland, 30 minutes away from Reykjavik is the unique Panorama Glass Lodge that is fully covered with glass. 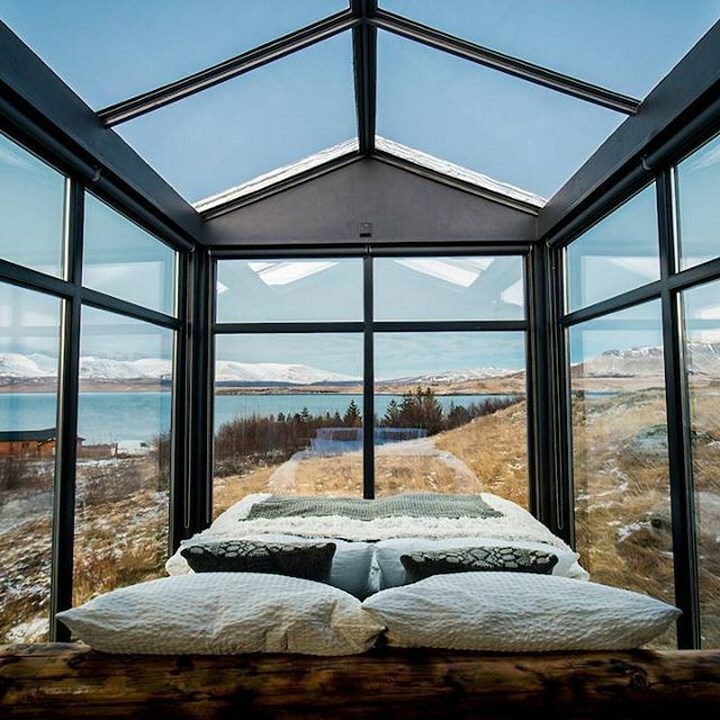 From roof to wall everything made in glass. 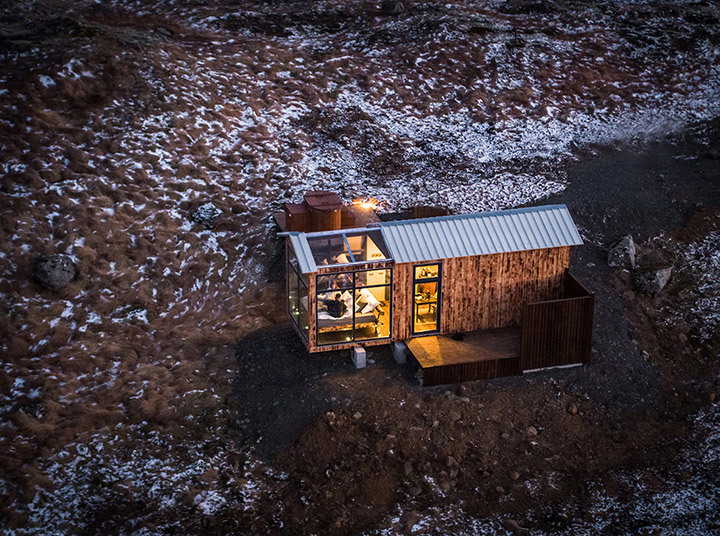 The Glass lodge features a small fully equipped kitchen housing two electric stoves, together with a water heater, fridge, and toaster. 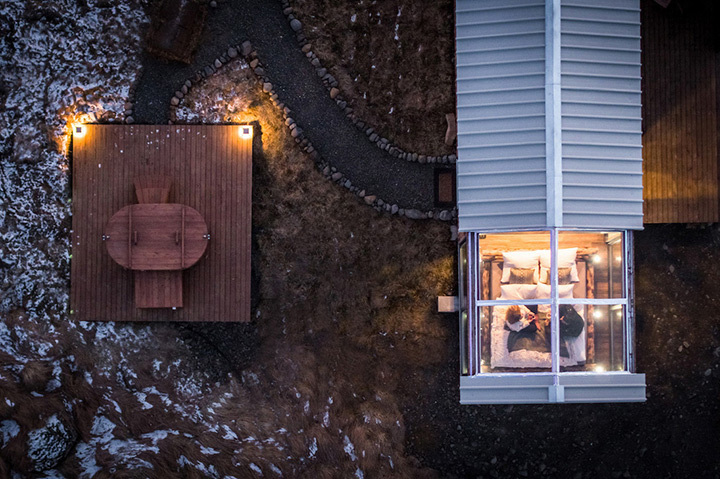 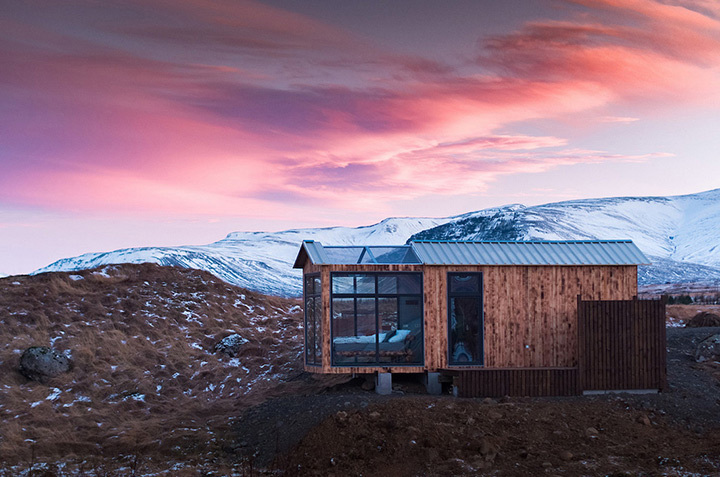 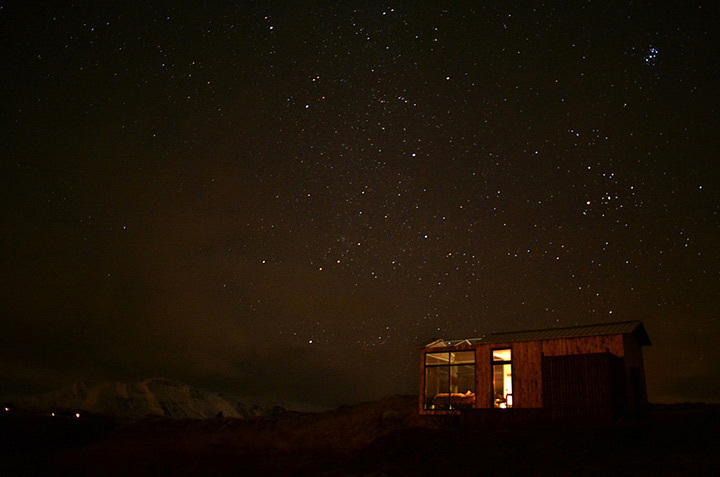 Where you can cook your own food and enjoy your evening tea watching the sky. 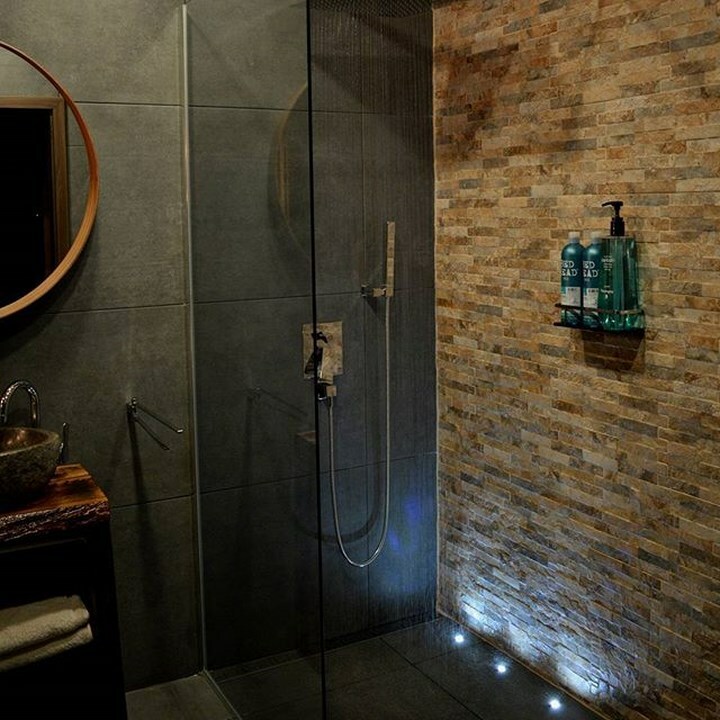 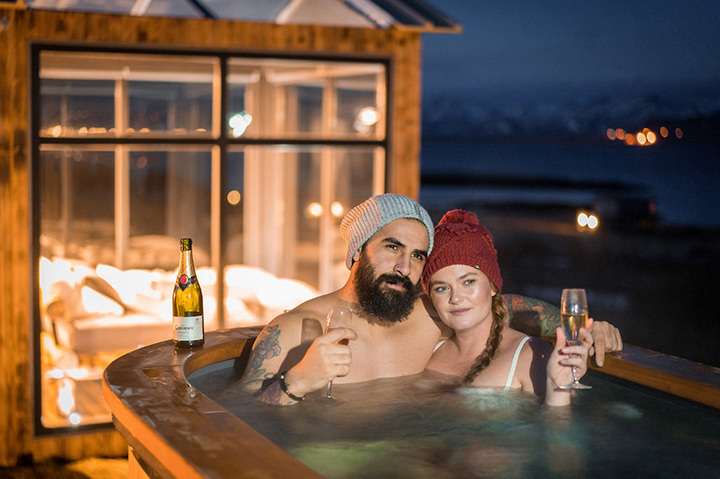 The glass lodge offers all the luxuries a high-end hotel offers, making it ideal for a honeymoon destination. 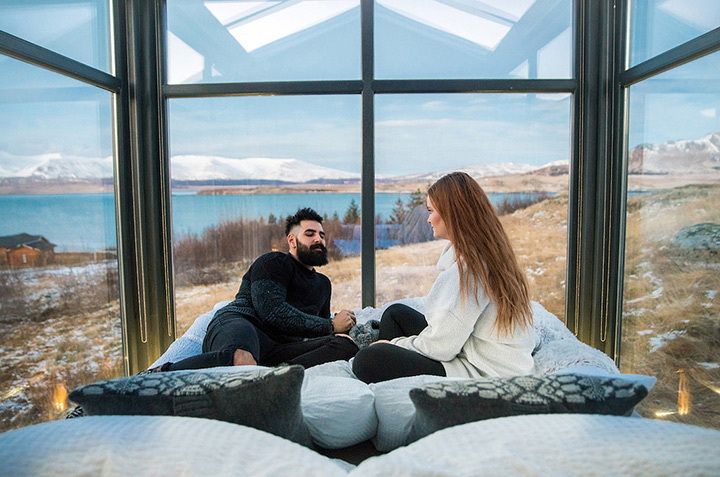 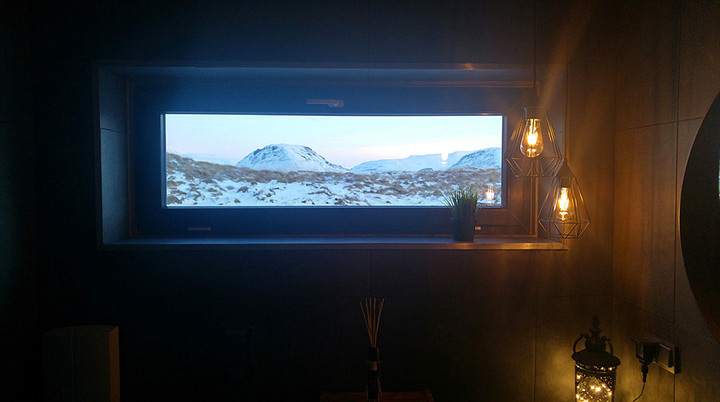 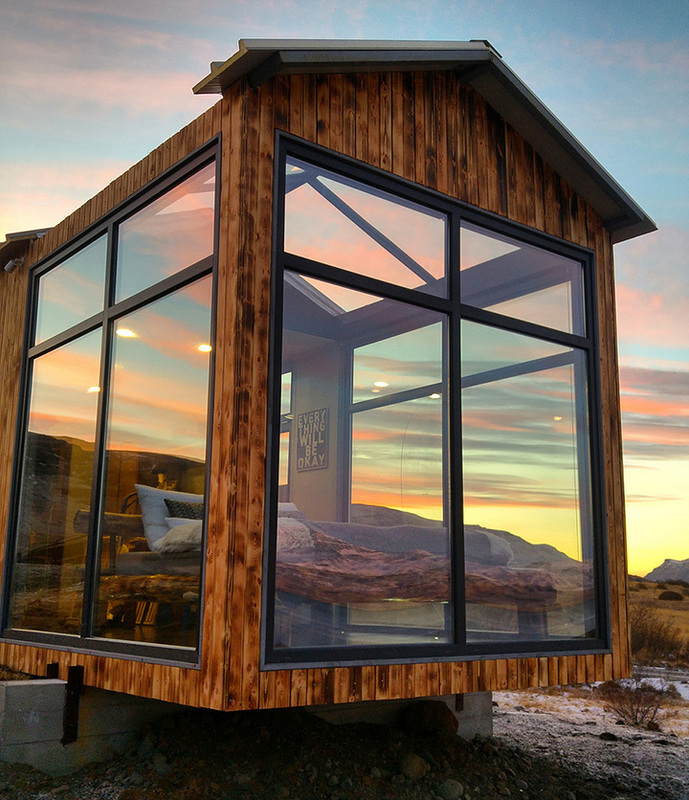 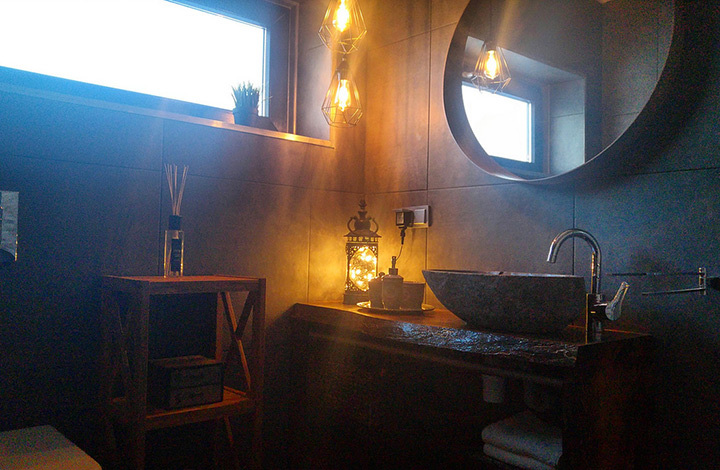 The Lodge has a cozy double bed that's completely surrounded by glass, perfectly situated to make the most of the awe-inspiring views all around.